I have a review on a product from City Color Cosmetics that has quickly become a favorite for me! This is new to me since, before this product, I haven't come across a bronzer that I've really liked to the point that I use it every time I do my makeup. 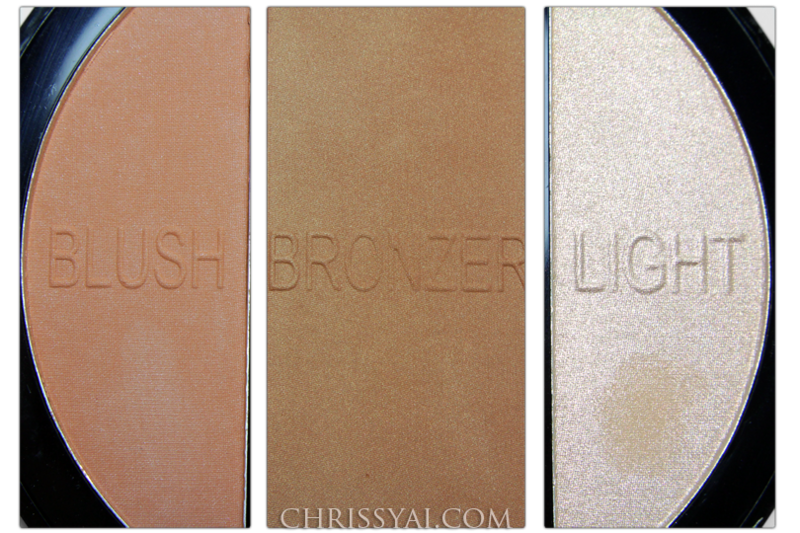 I am fond of the NYC Sunny Bronzer, however I didn't find myself wanting to apply it every makeup application. The City Color Sunkissed Trio includes three shades, a blush, bronzer, and light shade. I'm pretty light myself so the blush can almost be used a bronzer for me as well. I especially love the combination of the two though, they work so great together. I initially thought the bronzer would be much too shimmery and I prefer a flat bronzer. I don't apply much, just a light layer for a healthy glow, which this definitely delivers on, and I couldn't notice any unnatural 'shimmery' properties. The light shade also gives the illusion of excessive shimmer though I find that when applied lightly, it gives a subtle highlight. I don't find myself using this as often as the bronzer and blush but it was a nice warm highlighter. Possibly one of the best things about this trio is the price for the quality you get. It is set at the affordable price of $5.99 and comes in various shades to accommodate different skin tones. Also, something that surprised me about this trio was the size of it. It's takes up about the entire size of my hand when held. You're getting a lot of product with this at a little over .05 oz. I highly recommend trying this out, especially if you love trying out new bronzers. que trio mas bonitos. Esta genial, asi llevas los tres productos juntos.